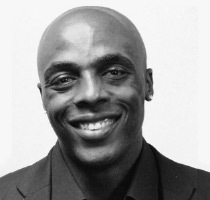 After completing his degree in Finance and playing basketball at Creighton University, Anthony Tolliver started his career in the NBA. Anthony Tolliver has played in the NBA for over 6 years and is currently playing for the Sacramento Kings. He has used his lessons learned in professional basketball to help start and run several businesses. Active Faith is a Christian Athletic Apparel company that Anthony helped start and currently sits on the board of directors. Anything Possible is an invention company that has produced products that are currently on the shelves in Wal-Mart, Bass Pro, and Toys R Us. Say You Can, LLC is a real estate company, buying and selling homes in the Springfield, MO. Anthony currently balances his basketball career with all of these successful businesses and its responsibilities in addition to his contributions as a board member to the SAVE Program.